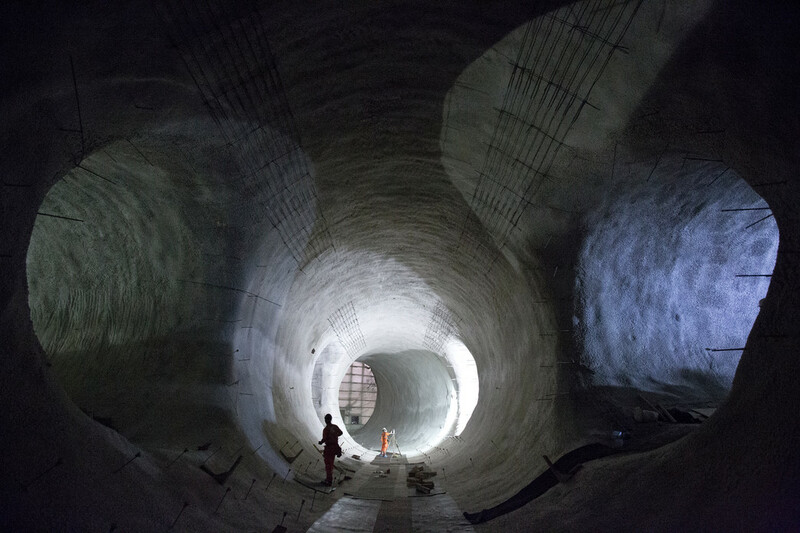 Photo of sprayed concrete lined platform tunnels at Bond Street station in 2014. The expansion of the existing Underground station at Tottenham Court Road and the second ticket hall in Soho, led to major archaeological excavations and the recording of a number of historic buildings before they were demolished. 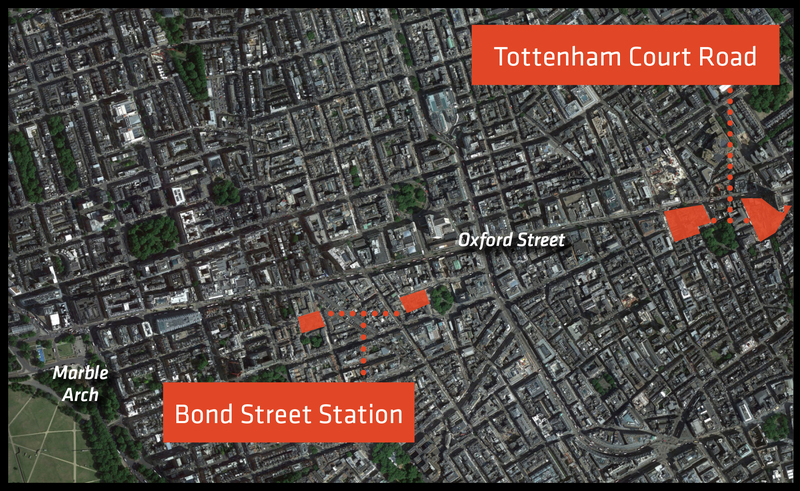 Further west, eight weeks of investigation of the new ticket halls at Bond Street contributed to our knowledge of the lost rivers of London, long-ago channelled underground and hidden by buildings. Much of the area to the west of the City of London, what we today call the West End, was largely a rural, farming landscape until the 17th century and so the sites uncovered little in the way of Roman or medieval remains.